What else I got in Jakarta? Absolutely never skip the chance to enjoy this food. 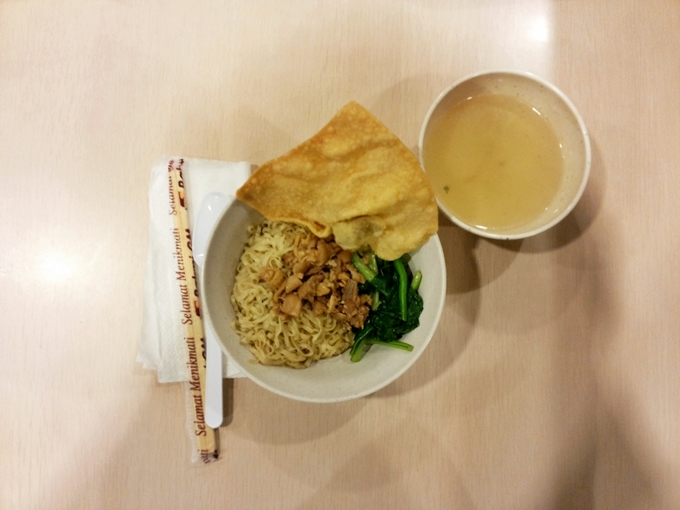 Being well known as Bakmi GM which short for Bakmi Gajah Mada. They have any kind of food on their menu, but my favorite is the original, one and only. 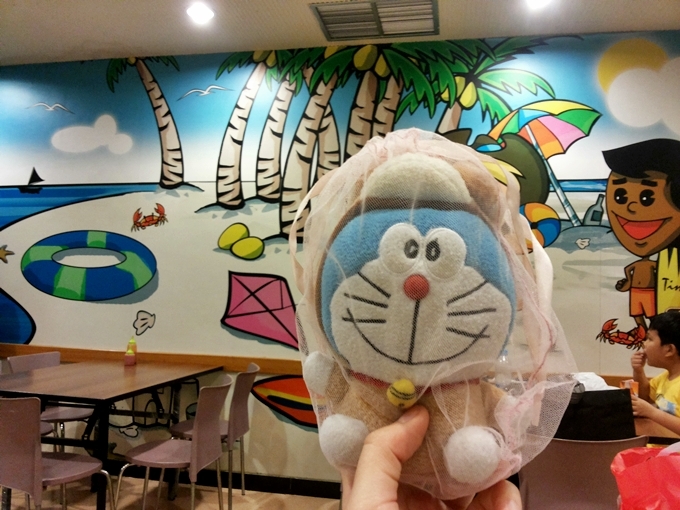 Went to one of their outlets which located at Mall Kelapa Gading 3 Level 3, and I also took my montchi there. One of their corners with beach time theme. Unfortunately they don't have any store here in Surabaya, only in Jakarta, Tanggerang and Bekasi. Find out their store here.